The dust is still flying. We were very almost there and then we found some damp. So off came the plaster. Again. So, while the last remaining walls dry and the floor tiles are left to stick, I’m doing a little bit of set dressing. Its going to look absolutely wonderful when it’s all done and already the extra space has changed my life. I have a utility room. The washing machine and dryer are no longer in the kitchen. I can have them on all day long and I don’t care. 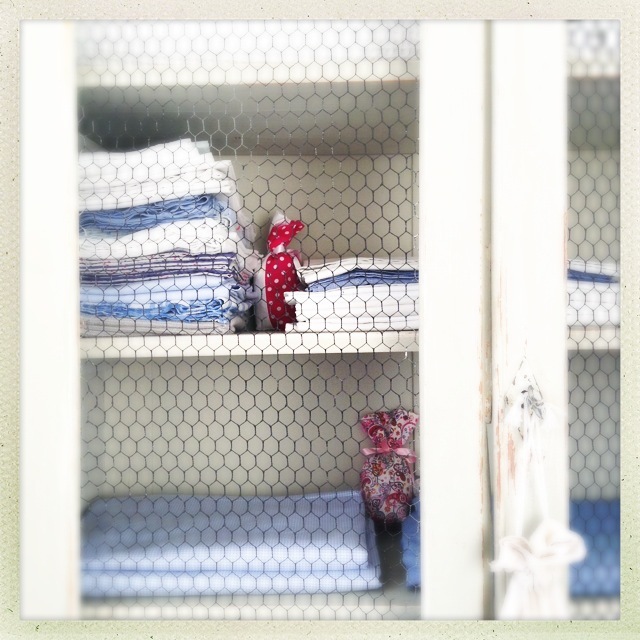 And I have a linen cupboard which has made me happier than any inanimate object really should. 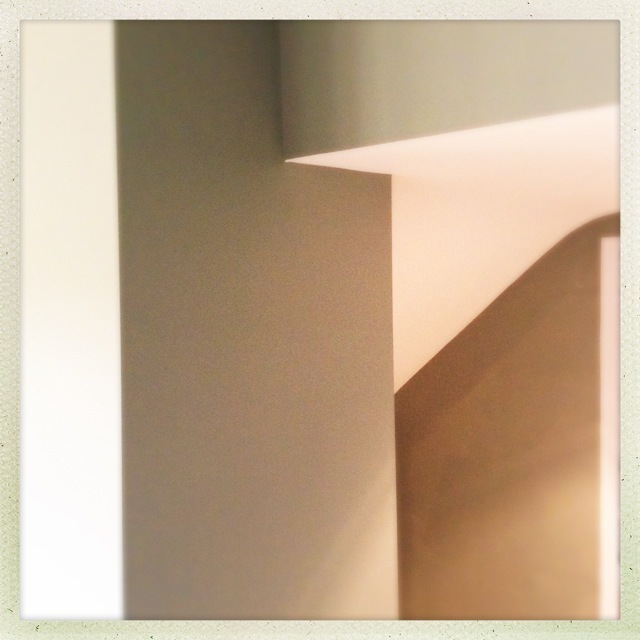 And, I’ve got Pigeon on my walls which is making me feel very grown up indeed. 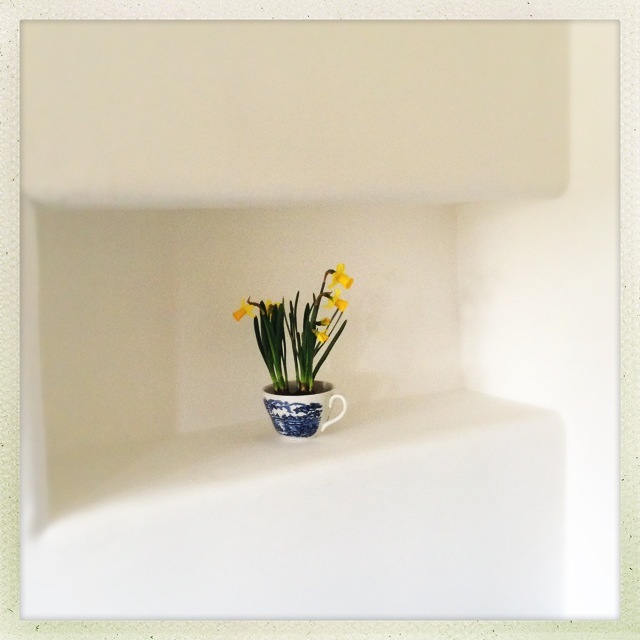 What could be cheerier than new walls and a jug of daffodils. Away from Cornbury until Wed afternoon but longing to come and visit. What are your plans the Easter weekend? 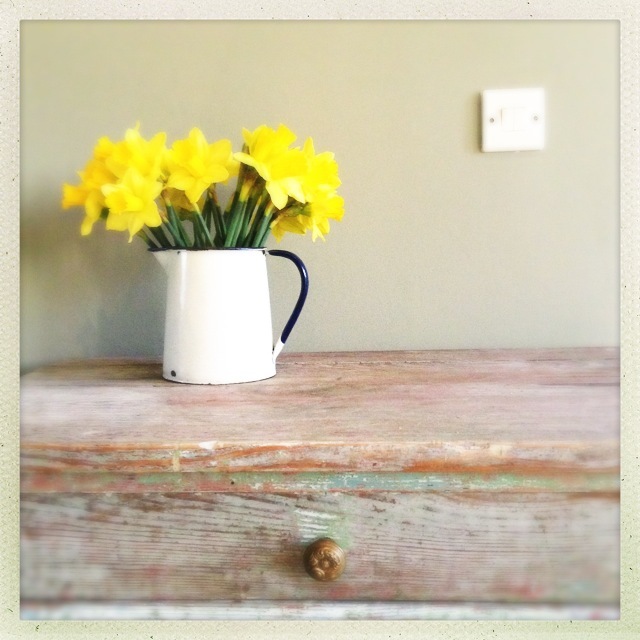 I am planning an Easter egg hunt on the Sat afternoon.